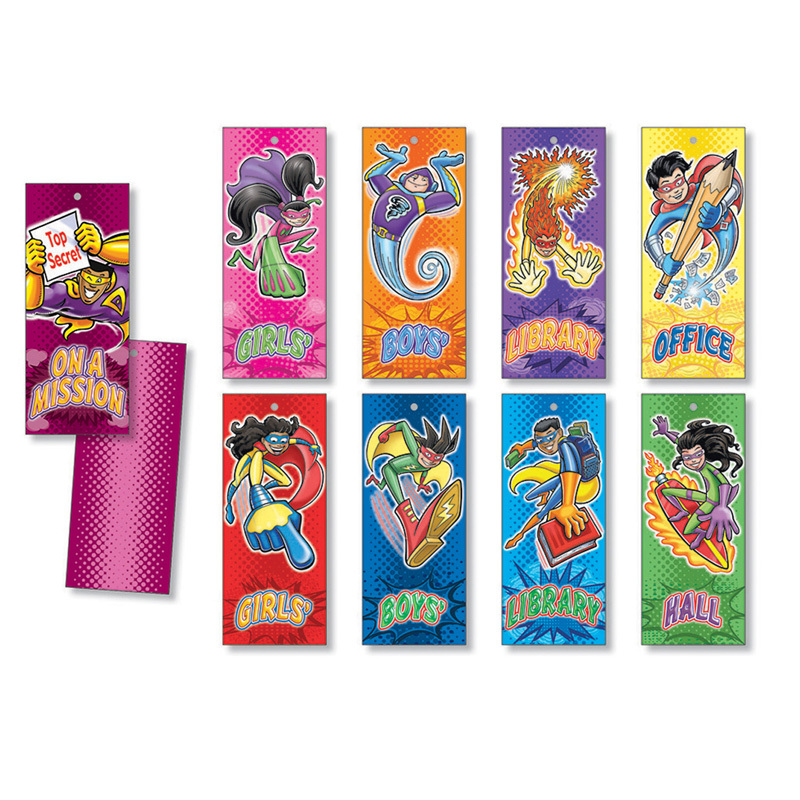 Maintain an orderly classroom with this set of handy superhero hall passes authorizing students to visit designated areas of the school: girls' and boys' bathroom (2 each), library (2), hall, office, and an all-purpose "On a Mission" pass. These durable passes are constructed of heavy card stock and are hole-punched for a lanyard or storage on a hook. Passes feature a space on the back for personalization with a room number, teacher's name, or other information. Each piece measures 3 1/2" x 8 1/2". Nine pieces per set.